I've been searching the last few months for a preschool subscription service. My kiddo is in daycare full time but I'd love to find some sort of preschool Saturday kit. Or a kit of mommy and me educational activities. But all I have found are 3 and 5 day per week preschool kits for full time care providers. Way more than what I need. Anyhow, in this search Citrus Lane has shown up several times along the way. It is a monthly subscription service of items for your kiddo. They tailor the box to the age and gender of your little one and fill the box with appropriate items. When one of my friends posted the link to her referral link on facebook with the HALF off discount, I decided to try it out. For about $15 invested, it sure was worth the trial. I'll warn you that I hadn't intended to do a review so I got a few photos after the fact. We were headed out on a road trip so I packed the items with us. I was ho-hum about them until I tried them out. Then I knew I would share the info. So this wet bag is amazing. I did not think it would actually be waterproof. It was PERFECT for us at the pool this weekend. His suit and mine went in this bag after swimming and into the gym bag. Nothing else got wet and it was easy to pull out and leave by the washer. This is one of those items that I didn't expect to use, then wondered what I did without it. I ordered another one this weekend.Value $11. Had to use the picture from their site for this one too as it has already been colored in. We used this one a bit on the road trip. Not something I would normally buy, but the kiddo enjoyed it. I liked that the markers came with it and a little kit. Value $8. 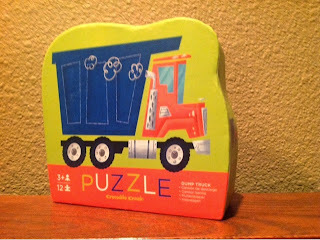 No surprise, the dump truck puzzle was a big hit. This is a very good quality puzzle. 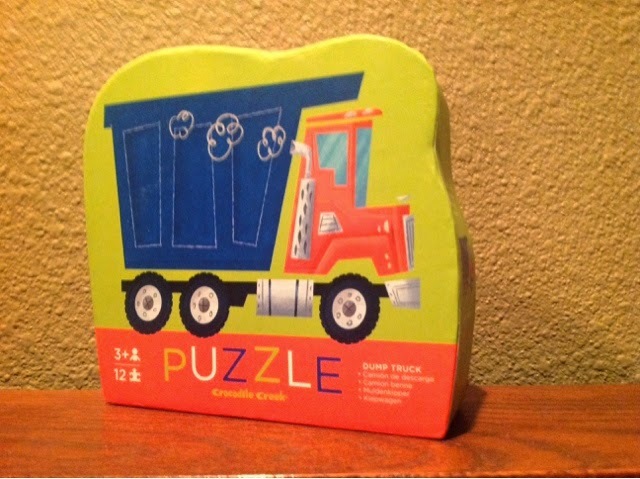 Puzzles are something I tend to forget about, but a great learning tool. Value $9. The box included a good size bottle of baby wash/bubble bath. It was not very sudsy but smelled nice. Not surprising, we have already used it and I couldn't find a picture on their site. I'm guessing it was valued around $5. We also received two snack bars. These appeared to be full size. Not something we will go out of our way to buy, but the kiddo enjoyed them. Probably a value of $3. I almost forgot to mention a coupon was included for mail order bras. A very good coupon - $20 off $40 - but not something I'm very likely to use. So in product alone this box was valued around $36, plus shipping. I paid $15. Good bargain for testing. The monthly price is $29 with discounts for buying several months. This is the kind of box that I would like to get every other month. I found it very easy online to ask to "pause" my subscription to skip a month. 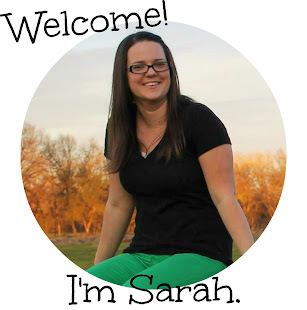 I would love to be able to sign up for every other month or even quarterly. So I'm very pleased and planning to continue with Citrus Lane. I love that this is tailored to gender and age, the quality was very good and these are items I would not pick out on my own. All good enough reasons for me. This would make a great gift for a child. Very easy for the gifter and something new and exciting to arrive to the child by mail. Really good for the kiddos in your life who live a bit far away. Have you tried a service like this? What did you think or which company do you prefer? I'm still on the search for a simple preschool style subscription service so if you know of one of those pass the info along!